Second last day today. 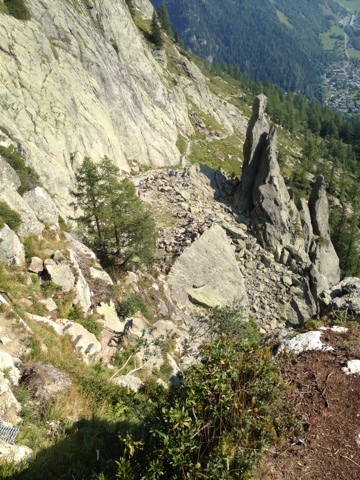 The walk took us up and along the range parallel to the Chamonix valley. 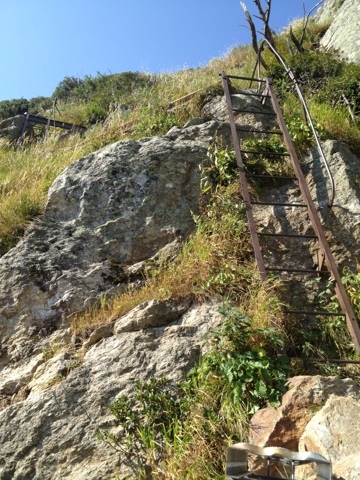 It was steep and exposed with about 30m of ladders in the steepest parts. 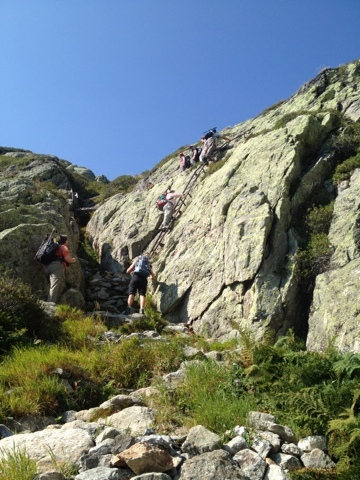 Quite often there were steep drop offs of 100s of meters beside the track just waiting for a wrong step. 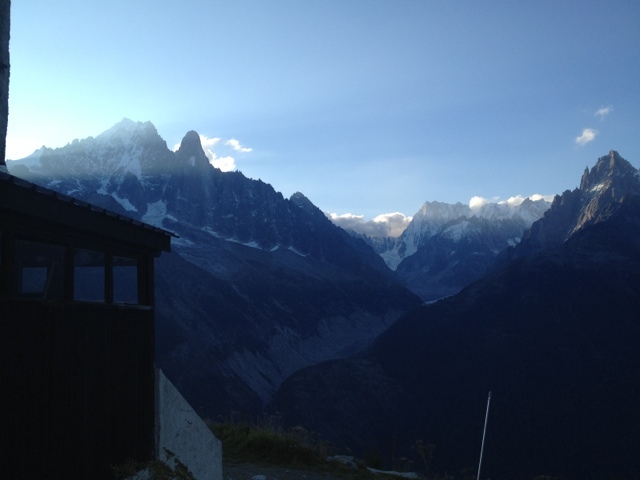 We walked a little faster than expected especially given the ladders so we wre at the la Flegere refuge by lunch time. 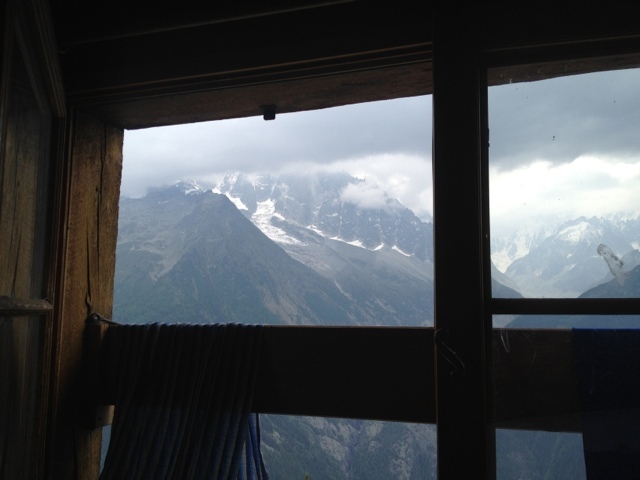 Unfortunately our last night was dorm accommodation but the view of mt Blanc from my window eased the pain.